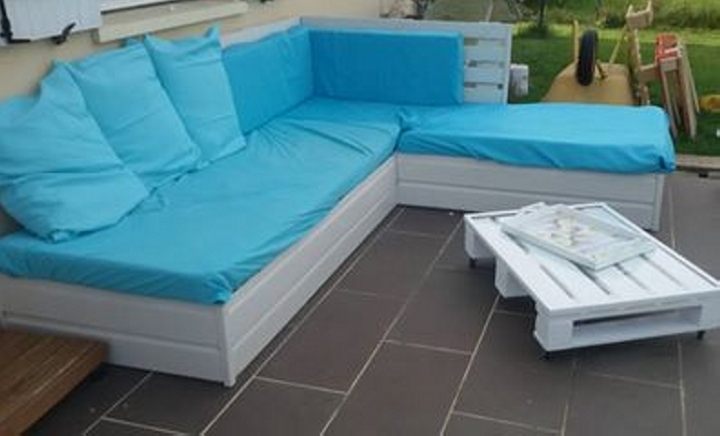 Outdoor couches that are especially designed for some outdoor spaces are also designed accordingly. To maintain a decent difference in the indoor and outdoor wooden furniture items we take several steps. 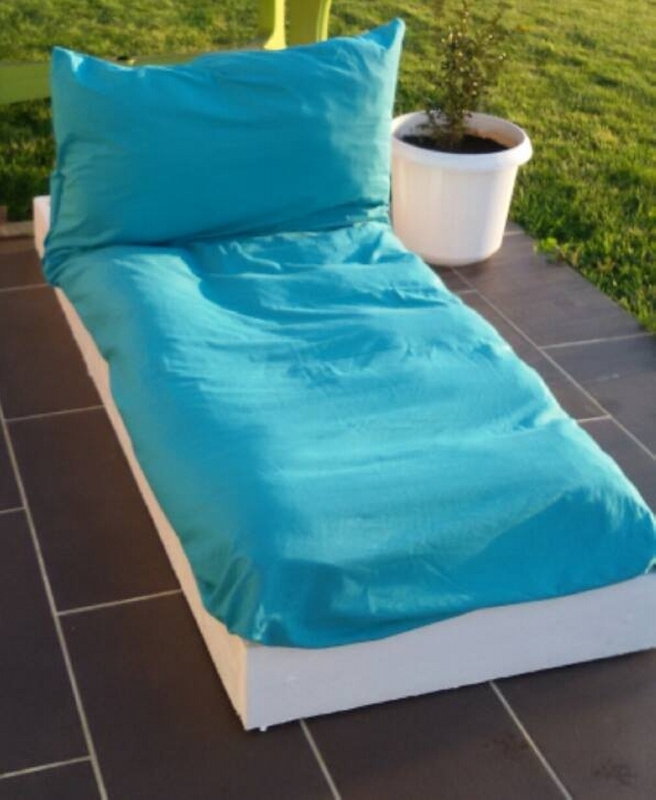 Like when it comes to the outdoor furniture items we mainly focus on the color scheme, secondly we make them a bit bigger that the routine pallet wood creations. And also repeatedly use the certain designs that are quite famous for the outdoor products. This pallet wood outdoor couch and daybed is going to be recycled pretty in accordance with the set protocol that we have discussed above. 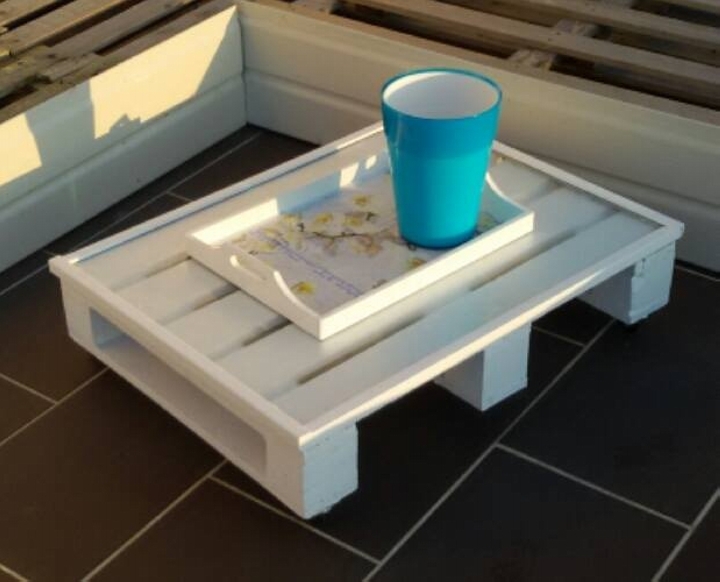 Before we get started specifically on the pallet wood couch, we would like to make a matching wooden coffee or side table, this small wooden pallet coffee table would best be used beside the pallet wood couch and daybed. Serve some beverages or a mere cup of coffee on this wooden table. Now have a distant look of the day bed. 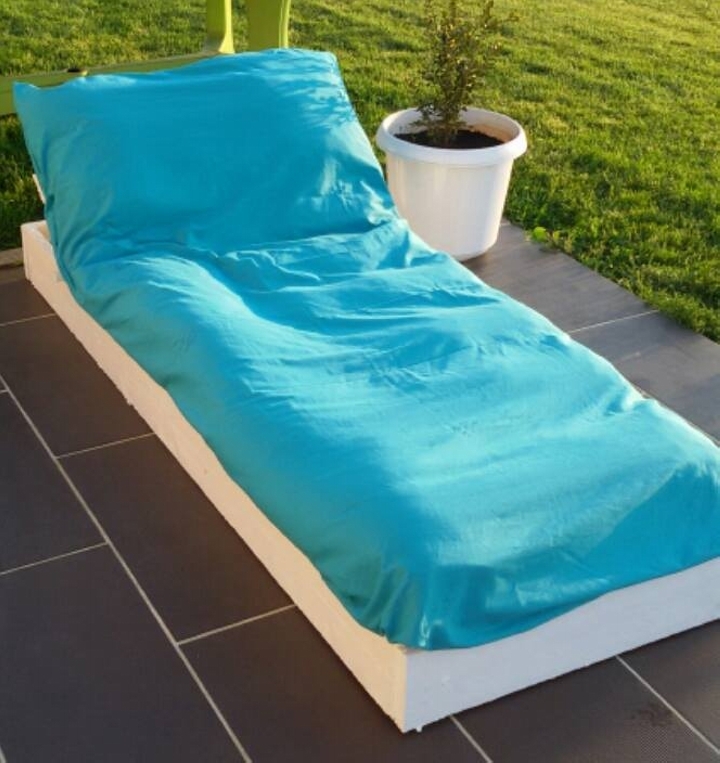 This is wrapped with the finest covers and cushions that have certainly added a lot to the appearance of the wooden day bed. What makes it different from the common room bed are its legs. Now you want to have a look inside the structure of the pallet wood repurposed daybed? We actually made a rectangular frame using the cut to size pallet wood planks. This box shaped wooden frame was covered on the top again with the plain pallet planks, and on one side we built a curved back along the day bed. On the end we did very fine sanding with the sand paper, and we left it unstained as we had to cover it with a fine fabric. 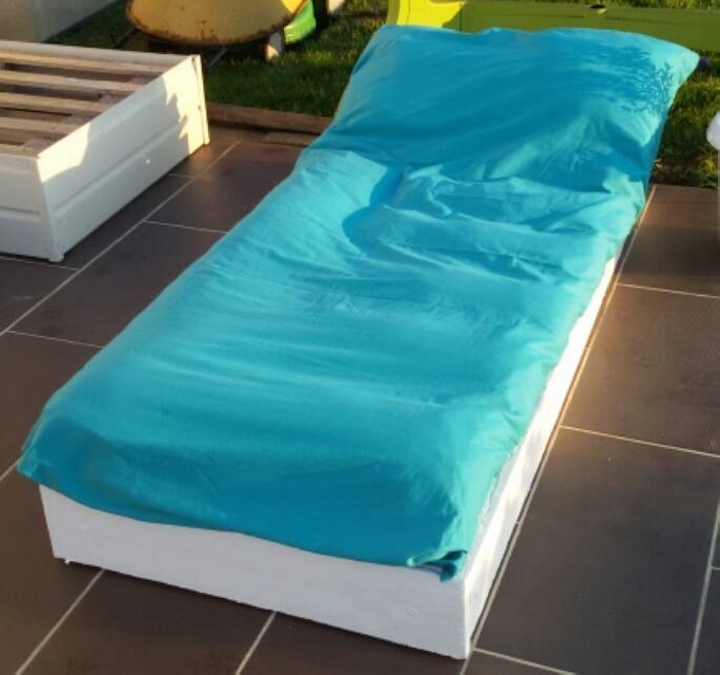 Finally we covered it with a six inches thick spring mattress and placed it outside the house in garden.